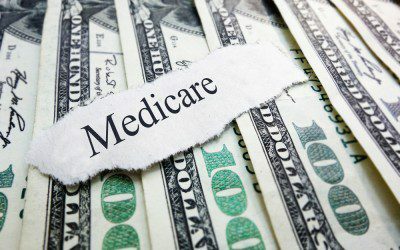 There’s a good chance that upon seeing a phrase like “Medicare’s competitive bidding program for durable medical equipment, prosthetics, orthotics, and supplies (DMEPOS),” your eyes start to glaze over. After all, how suppliers of medical devices and supplies get paid isn’t a top concern for most Medicare enrollees. But that may be changing, thanks to a renewed effort by some diabetes experts and advocates to focus attention on how the program has disrupted the regular delivery of items to some people. As Medicare noted in a press release on March 15 of this year, the competitive bidding program for DMEPOS was created in a 2003 law but has seen delayed implementation. It was intended to save both taxpayers and Medicare enrollees money by reducing the costs of these items, which were previously supplied according to a fee schedule that many people believed contained prices that were too high. Medicare is poised to expand its competitive bidding program nationwide on July 1, after having tested it in certain markets since 2013. Medicare claims that during the first two years of the test program, it saved $3.6 billion with few patient complaints and no negative health outcomes as a result. If this sounds too good to be true, it may be — as shown in a study published just three days after Medicare’s news release. Published in the journal Diabetes Care, the study looked at the impact of the competitive bidding program on access to diabetes testing supplies among insulin users. As noted in a recent article at MedPage Today, the study found that in nine test markets for Medicare’s mail-order delivery program for supplies, there was a 23% increase in people getting “partial or no diabetes supplies,” compared with before the program was implemented. This is in contrast to a 1.7% increase in supply disruption in non-test markets over the same period. Furthermore, the study found that disruption in delivery of diabetes testing supplies was associated with an increase in hospital admissions and a higher rate of death. Due to this increase in hospitalizations, medical costs were actually higher among recipients of diabetes supplies in the nine test markets. In light of these results, the researchers recommended that Medicare increase its monitoring of suppliers to ensure patient safety, and consider suspending the competitive bidding program altogether until it can ensure that supplies aren’t disrupted. What do you think of this controversy — do you get your diabetes testing supplies through Medicare? If so, are you worried that your mail-order supplies might be disrupted? Are you in one of the test markets that has already seen a switch to Medicare’s new bidding program? if so, has the change in your supplier caused any trouble for you? Do you think competitive bidding should be suspended in light of safety concerns, even if it costs taxpayers billions of dollars? Leave a comment below!